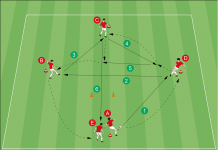 this soccer drill I found on a website for team handball and I transferred it to soccer. 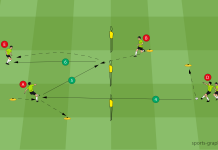 It is a great passing drill with overlapping. 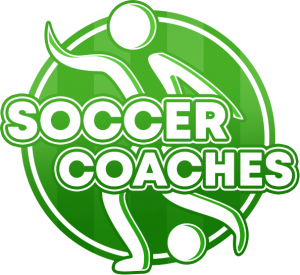 The players need good passing technique, good timing and perfect communication. 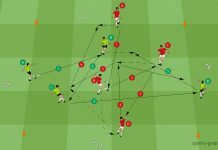 Please try this drill and send a feedback or if you find a variation, I would be happy to get it from you. Thanks. Why do we offer ONLINE DVDs? We get orders from all over the world. Online DVDs are available immediately after payment (credit card or Paypal). So, if you are living in Australia, Japan or US you don’t have to wait some days to get your training information. Online DVD have a navigation like a DVD. They are available on three computers with internet access at home, Laptop, at work or in your club. You will get timely unlimited access.